What Does a Good EAP Look Like? With many organisations looking at strategies to manage Mental Health risk in the workforce, the company Employee Assistance Program (EAP) is often front of mind. An EAP should be considered as a key part of an organisation’s Mental Health strategy alongside specific mental health education programs, supervisor education and organisational factors. Often organisations will invest significantly in training to raise awareness of mental health issues amongst employees, with the view they will seek assistance from their EAP. It is therefore imperative that the EAP provides a quality, accessible and responsive service. Naomi Armitage, Gryphon Psychology Director will be presenting a case study on the application of the Mental Health Review tool to assist an organisation develop a Mental health strategy. Not all EAP’s are equal!! The mantra ‘you pay for what you get,’ very much exists in EAP’s. Many EAP’s provide little substance behind the glossy brochure. EAP’s are typically split into two models – those that utilise contractor’s or affiliates to provide services and those that employee their own staff. What is your average referral rate? How do you manage the Critical Incident Response Service? The only way to guarantee a reliable Critical Incident response is for an EAP to have employed Psychologists on call 24/7 ready to be deployed to site, which ensures an immediate response. What are the Qualifications of the people providing counselling services? How will services be delivered? What statistics or feedback will I receive about the service utilisation? Do you have a Supervisor Support Service? On the 27th of March Gryphon Psychology supported the annual Resource Industry Network Safety Conference. It was an informative day with a key focus on managing mental health risk in a cost effective manner. Organisation’s indicated a strong interest in resources to assist Supervisors manage Fitness for Work issues. 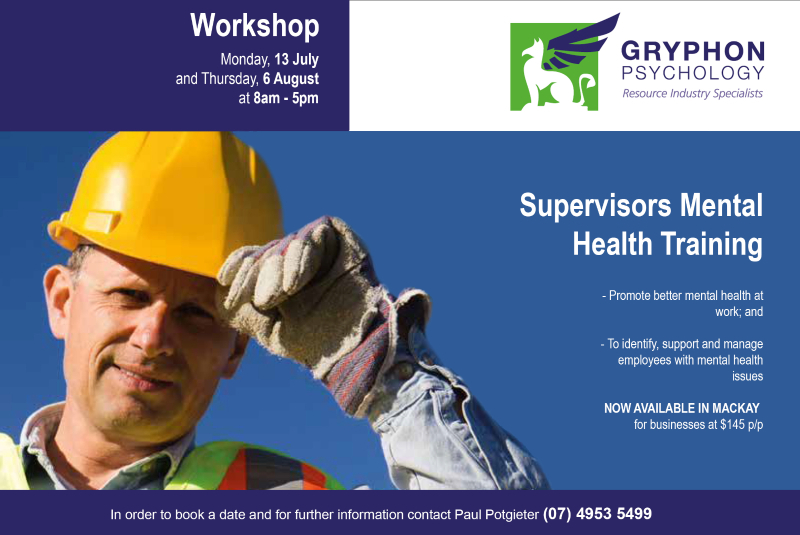 As part of Gryphon Psychology’s EAP programs all Supervisors can access the 24/7 Supervisor Support Line for advice on managing fitness for work issues. For a copy of the Supervisor Support Brochures please click here. On the 20th and 21st of April Gryphon Psychology hosted a free workshop for our clients Organisations on Undertaking a review of your Mental Health Program. The workshops hosted in Moranbah and Brisbane were attended by over 80 participants from the Resource, Construction and Heavy industry sectors. 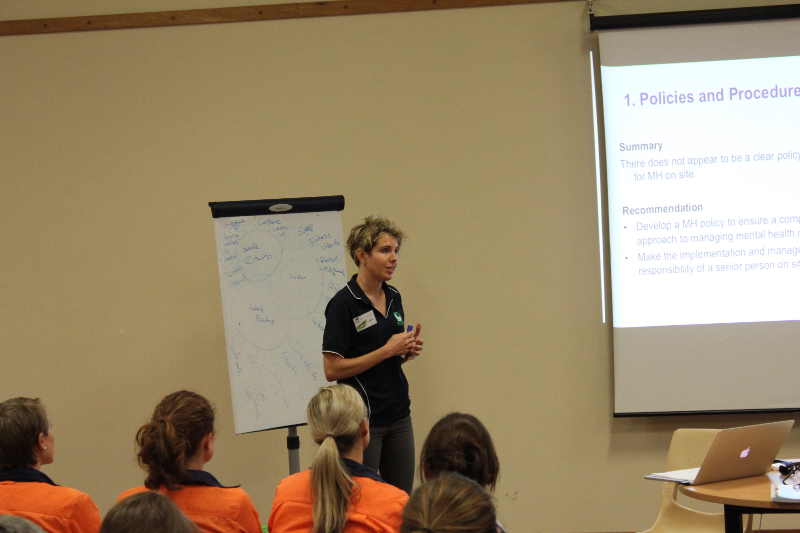 The workshops highlighted the key factors involved in identifying mental health risk in a workplace and provided an overview of the Gryphon Psychology Mental Health Review tool that assist’s workplaces conduct a GAP analysis to implement an effective intervention strategy.